It’s wild fennel seed time here in NorCal. 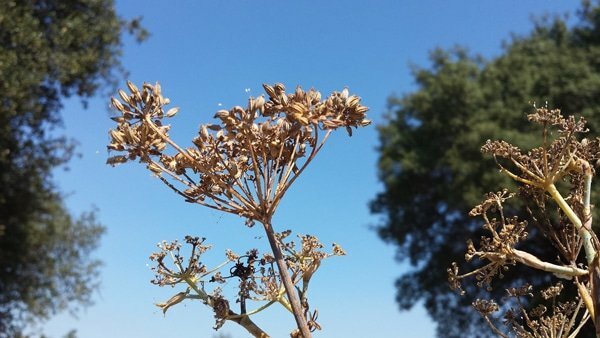 We have wild fennel everywhere here, and now is the time — before the first real rains — to gather the seeds, which have dried nicely. Foraging for fennel seeds isn’t rocket science, but there are a few tips I can offer to make it more productive. 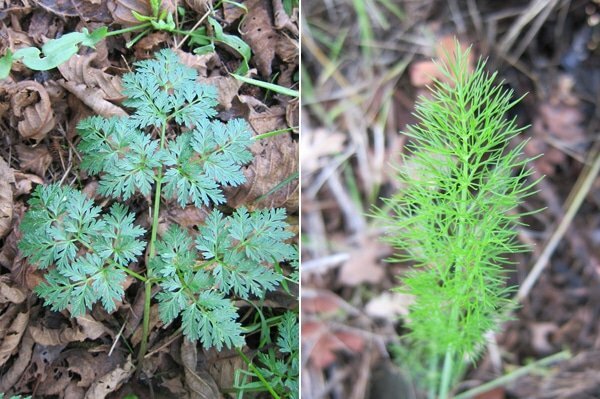 First, know that wild fennel and garden fennel are one and the same plant, Foeniculum vulgare. It’s a European immigrant, believed to have been brought here by Italians. Many states have branded this lovely, anise-scented plant a noxious weed; one of my friends, a biologist named Charlie, was once employed to kill any fennel he saw on Catalina Island. Suffice to say it’s OK to pick as much of this plant as you want. Wild (really feral) fennel differs from garden fennel in that it rarely sets a bulb and has smaller seeds than the domesticated variety. Both are perennials down to Zone 6 (winter lows down to -10°F) and possibly down into Zone 5, where winter temps drop all the way to -20°F. Tough plants. Fennel is herbaceous, meaning it “dies” every year and regrows in spring; it’s actually not dead, the root is just fine. According to the USDA, wild fennel grows all over America, except for the Intermountain West, Oklahoma (oddly), Vermont and New Hampshire, Indiana, Arkansas and Mississippi. It also supposedly grows in British Columbia, Ontario and Quebec, although I’ve never seen it there. Honestly, however, I’ve never seen wild fennel anywhere other than California and the Pacific Northwest. Wait until at least August, and September is better. The seeds take a long time to ripen, but you want to get them before the birds do. Birds, especially little warblers, love to eat fennel seeds. When the time is right, grab a paper bag and some scissors. Go out and find some fennel. But the surefire way to tell fennel from really anything else is the aroma: If it smells like anise or licorice, it’s fennel. Hemlock smells musty, like mice in an attic. 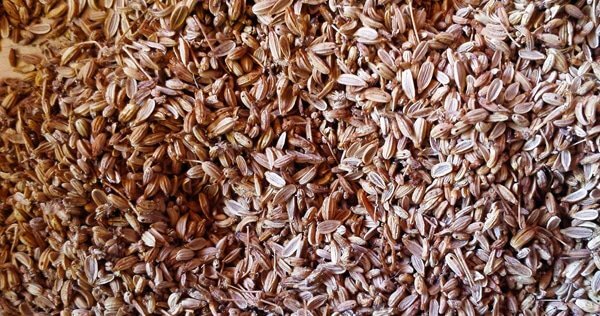 Once you’ve found your fennel, look at each seed head: Many will have been either pillaged by birds, or never set seed at all. Look for the seed heads with the largest seeds and snip off the whole head with scissors and put it into your bag. It shouldn’t take long to fill a grocery bag. Once you get home, get yourself something to toss the empty seed heads in (compost bag?) and a broad, flat container like a casserole dish or a baking sheet. Take each seed head and remove the seeds from each little cluster with your thumb and forefinger, dropping them into the dish below. The force and motion I use is a lot like wiping something sticky off your fingers. I managed to get 4 ounces of seed in about 25 minutes of doing this. When all the seed heads are free of seeds, toss them in the compost and turn your attention to the dish of seeds, which will need to be cleaned. I pick through and find all the little clusters that fell in (they look like teeny octopi or spiders) and remove them. It helps to have tweezers. Pick through and remove as many little twigs, bugs and debris as possible. Finally, put your seed into a jar and freeze it for a week. Why? There might be insect eggs or grown bugs you missed in your seeds, and you don’t want an infestation in your seed. Freezing will kill everything too small to see. Once you’re done with this step, keep your fennel in the spice cabinet. It will last a year or so. I grow fennel in my herb garden and collect the pollen in the spring and early summer before the seeds set, dry it in a paper bag and use it in sausage recipes, risotto, etc.. 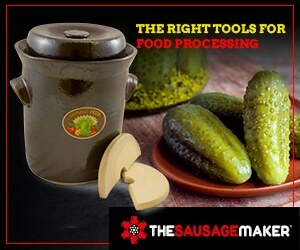 Excellent in Italian sausage. do you wait for the seeds to turn brown? or harvest them while they are still green? Lea: Brown for long storage, but the green ones are great eaten fresh or candied.